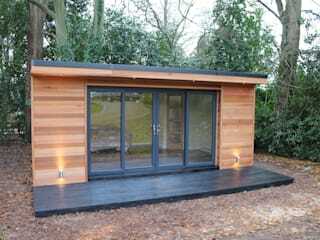 Crusoe Garden Rooms Limited is a family business based in Burton Joyce, Nottingham run by husband and wife team, Trevor and Emma. With over 30 years experience working on various building projects as diverse as a chapel and windmill restoration to bespoke furniture and contemporary building projects, Trevor and his team have completed more than eighty garden room builds throughout the UK from Brighton to Aberdeen. Each build, ranging from our standard builds as on our eBay adverts to bespoke builds, is carefully designed and planned enabling the customer to have input into the design and specification of their individual project. Our garden rooms are not prefabricated - they are hand crafted on site, fully insulated, plaster boarded and plaster skimmed - creating an extra room in your garden. Our team of craftsmen are highly qualified and intelligent tradesmen. Care will always be taken to respect you, your property and that of your neighbours. 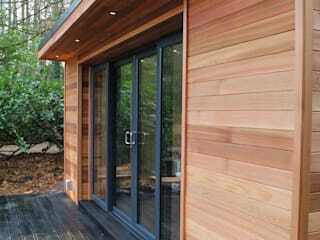 We are able to offer advice and accommodate changes throughout the build. Each build, ranging from our standard builds as on our eBay adverts to bespoke builds, is carefully designed and planned enabling the customer to have input into the design and specification of their individual project. 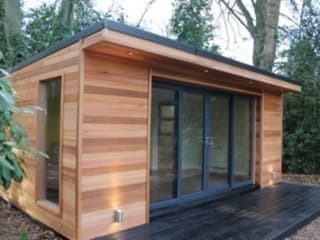 Our garden rooms are not prefabricated - they are hand crafted on site, fully insulated, plaster boarded and plaster skimmed - creating an extra room in your garden. Our team of craftsmen are highly qualified and intelligent tradesmen. Care will always be taken to respect you, your property and that of your neighbours. 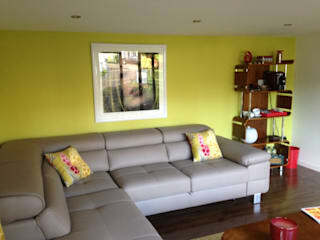 We are able to offer advice and accommodate changes throughout the build.